I’m so over this overcast and cold weather. Spring and sunny skies… come quick! This drab weather is depressing me. Here are a few of my favorites from last week’s link party. Nalle’s House added a bench to her mini mudroom. I pretty much love everything about this entire nook. What a fun painting from Lake Girl Paints! Dixie Delights made over her bedroom and holy cow, the before and after reveal is spectacular. Great kitchen makeover featured over at Brooklyn Berry Designs. Sew Much Crafting used washi tape to update some binder clips. Fun! I’m diggin’ this boy bedroom from Floridays Mom. 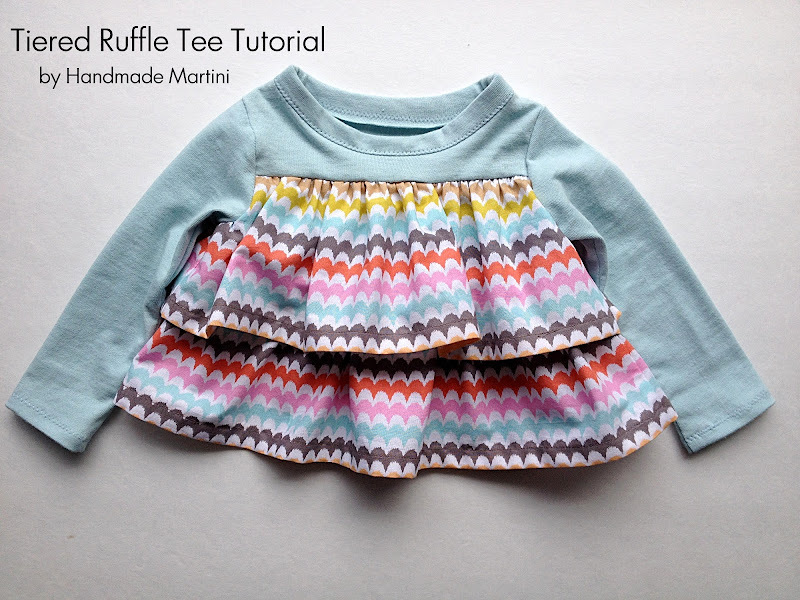 Handmade Martini sewed this adorable little ruffle top. Awesome tutorial alert! 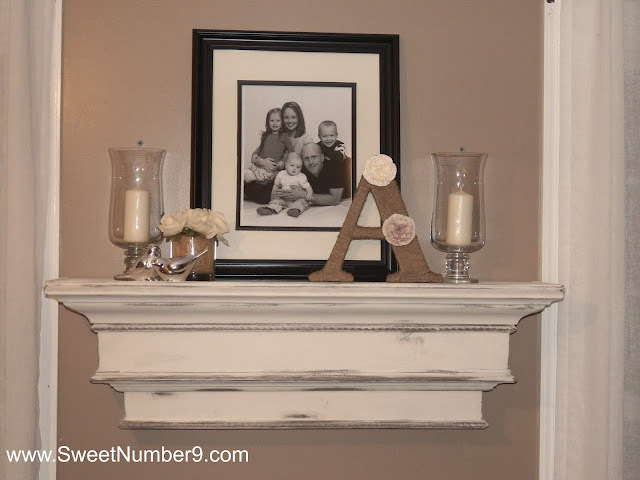 Sweet Number 9 picked apart the $400 PB shelf and made one herself for only $70. Va-voom. Lewisville Love shares how to clean makeup brushes. I love this dining room update from House To Your Home. 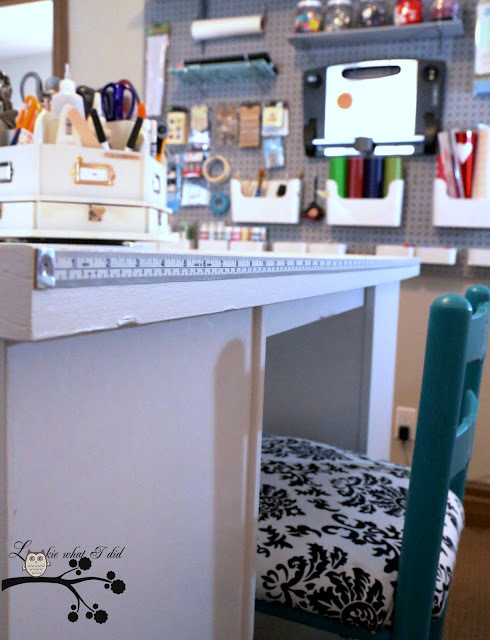 Lookie What I Did is so smart and added a measuring tape to her craft table. 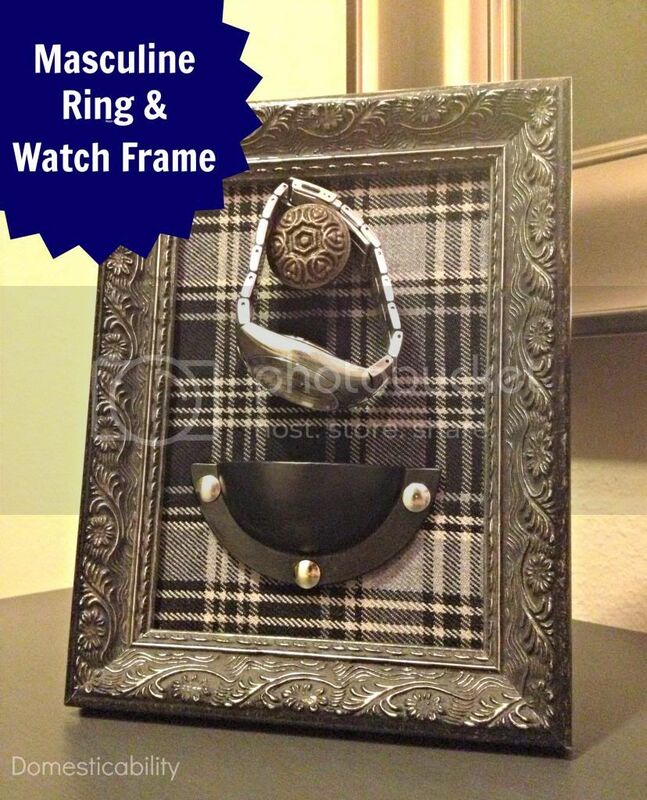 This Ring and Watch frame is such a cute idea for the man in your life. Domesticability is the brains behind the project. Ooof. I hear you! We still have snow. ugh… I just want to spraypaint something!!! am I blind? when did you change your logo? the new branding looks awesome! Thanks for hosting! So many good ideas in one place! Thank you for hosting every week! Have a great night. That made my night Allison! – to find my sun sign featured. Yes, I am ready for warm sunny weather for sure. Ugh…I live in northern WI and am SO sick of cold weather. It’s depressing and making me a very cranky mommy. So I feel you there! Hope you have a great week, thanks so much for hosting! Thank you so much for showing off my dining room! 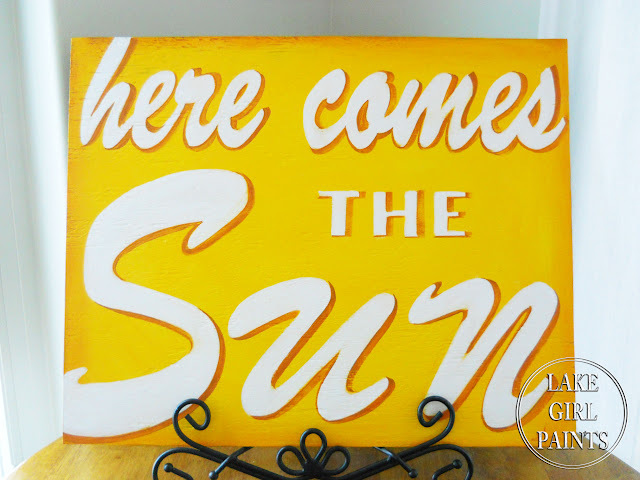 I couldn’t agree with you more…I’m so ready for sun and summer!!! Amen and amen. I thought the groundhog declared spring to come early? Methinks Mr. Rodent is a big fat liar. Thanks for hosting, Allison. Stay warm. And google pics of the sun if you forgot what it looks like. I’ve had enough of cloudy, cold days, too. So have the kids. Thanks for featuring my little ruffled top! Made my day! Have a great (hopefully sunny) rest of the week! You made my night, Allison! Thanks for featuring the clean makeup brushes! And thanks for all the great ideas you give us. Thank you for hosting this great party Allison! Thanks for hosting this awesome party with such cool ideas!! Thank you so much for hosting Allison!! Thanks so much for hosting again! We’re expecting snow and freezing rain today so I’m hoping for some sunshine soon!!! New to the blog 🙂 Thanks for hosting! I linked back on my posts and my page! Thank you for being the hostess with the mostest, Allison! Thanks so much for hookin us up with this fab party! Thanks for host a fun party! I linked up something a bit different!! I’m a Hooking Up Link Party newbie! This is my first time to link up to this party and I am excited to go click through to all the cute stuff! Thank you for hosting another great link party, Allison. I’d love if you’d come join my How To Tuesday link party, too. Thanks for featuring my Washi Tape Binder Clips! Thanks again for the great party! Speaking of which, I linked up their nursery (waaaaaaay down at the bottom). Hope you enjoy!